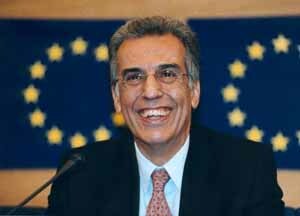 What is a European Ombudsman, and what does he do? The European Ombudsman investigates complaints against the institutions and bodies of the European Union (EU). He cannot investigate complaints against national, regional or local administrations in Greece, even when the complaints are about EU matters. Many of these complaints should be addressed to the Greek Ombudsman or regional committees set up by Parliament or local prefecture. What institutions does this include? If you are a citizen or resident of an EU Member State, you can register a complaint with the European Ombudsman about maladministration in the activities of the EU institutions and bodies. Businesses, associations or other bodies with a registered office in the Union may also complain to the Ombudsman. Complaints regarding poor or failed administration, which can occur when an institution fails to act in accordance with the law, respect the principles of good administration, or violates human rights. The Ombudsman will contact the institution concerned about a complaint in order to resolve the problem. If the case is not resolved satisfactorily, the Ombudsman will try to mediate a friendly solution that satisfies the complainant. If the attempt at conciliation fails, the Ombudsman can make recommendations to solve the case. If the institution does not accept his recommendations, he can make a special report to the European Parliament. These languages are available: Czech, Danish, Dutch, English, Estonian, Finnish, French, German, Greek, Hungarian, Irish, Italian, Latvian, Lithuanian, Maltese, Polish, Portuguese, Slovak, Slovene, Spanish, and Swedish. After I published this article in October 2007, Kathimerini followed and did a similar story in May 2008, with a Q & A about Greece. The ombudsman is Greek, and his name is P. Nikoforos Diamondouros.